The writer and historian, Thomas Carlyle (1795-1881), is an acquired taste – Pursewarden, in Lawrence Durrell’s Alexandria Quartet (1962), described his work as “haggis of the mind”. Nor have Carlyle’s ideas on democracy endeared him to the 20th and 21st centuries. 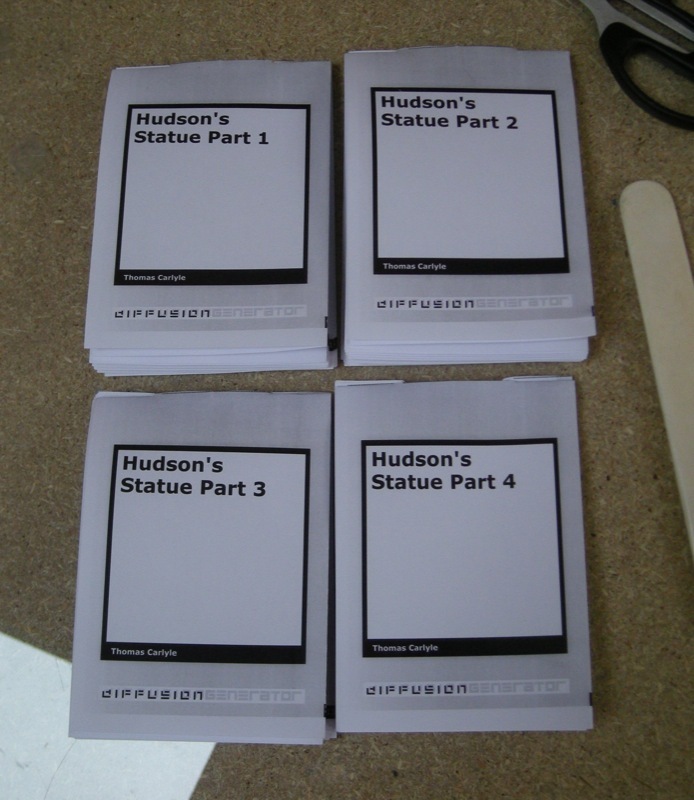 ‘Hudson’s Statue’, dated 1st July 1850, is the seventh in the series, Latter-day Pamphlets. George Hudson was a railway speculator – the ‘Railway King’ – and Carlyle uses the proposal to make a statue of him as the armature of a pamphlet that explores whom his contemporaries think are heroic, and therefore worthy of worship. As Hudson’s speculative empire burst in 1849, the statue was never built, but this does not stop Carlyle making it into a – literally – obscene reality, and which he remorselessly uses to examine mid-nineteenth century England. Today, when there are doubts about the USA prescribing one-man one-vote democracy for all cultures, we can begin to see some point in Carlyle’s caustic rant. And at a time we hero-worship minor celebrities or make proposals for the fourth plinth in Trafalgar Square, ‘Hudson’s Statue’ can be usefully – if not pleasurably – re-read. Are we any less gullible than those Englishmen who subscribed £25,000 to erect a statue in honour of this speculator and scoundrel? The only reference that the modern reader might struggle with is Daniel Lambert (1770-1809), a Leicestershire man, who became notoriously fat and charged admission for the public to see him. Thomas Carlyle (1795-1881) was an essayist, satirist and historian, perhaps most famous for his book Sartor Resartus.